Direct by six-time Tony Award nominee Scott Ellis. Starring two-time Academy Award nominee Bradley Cooper, Academy Award nominee Patricia Clarkson, and Alessandro Nivola. The Elephant Man is based on the real life of Joseph Merrick, a 19th century British man who became a star of the traveling freak show circuit. When a renowned doctor takes Merrick under his care at the London Hospital, he is astonished by Merrick’s brilliant intelligence and unshakable faith. Soon all of Victorian high society becomes fascinated by Merrick, especially a beautiful actress. But with Merrick's new life comes new complexity… and a "normal” existence begins to seem all but impossible. 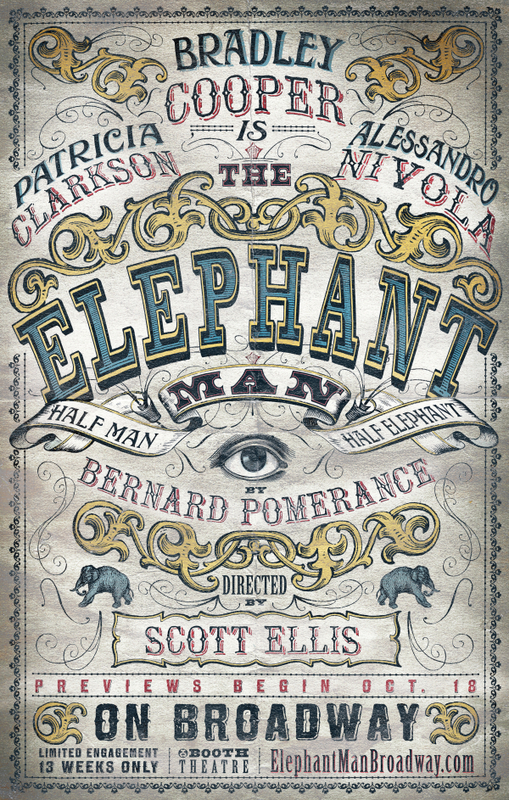 The Elephant Man completed its limited run on Broadway on February 15, 2015. It then had a successful limited West End run through August 8, 2015.